Soft copper seamless tubing, cleaned and,capped. Tube is sold by the foot and cut-to-length. 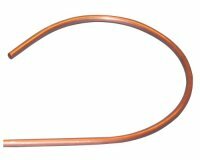 Also known as refrigeration tubing, this tubing is flareable and easy to bend by hand. Your IP address: 3.88.161.108. Parse time: 178 ms.